Scientists have found a possible link between excess body fat and brain shrinkage, according to a new study. Researchers looked at a total of 9,652 people with an average age of 55. Of the whole group, 19 per cent were shown to be obese according to their body mass index (BMI), a measurement which relates weight and height. Among the group with higher BMIs, those with thicker waists were found to have lower grey matter brain volumes than those with slimmer ones. MRI imaging was used to determine the brain volumes of participants in different parts of the brain. The lowest grey matter brain volume, seen in 1,291 participants, was 786 cubic centimetres. This was significantly lower than the 798 cubic centimetres seen in 3,000 people of "healthy weight". 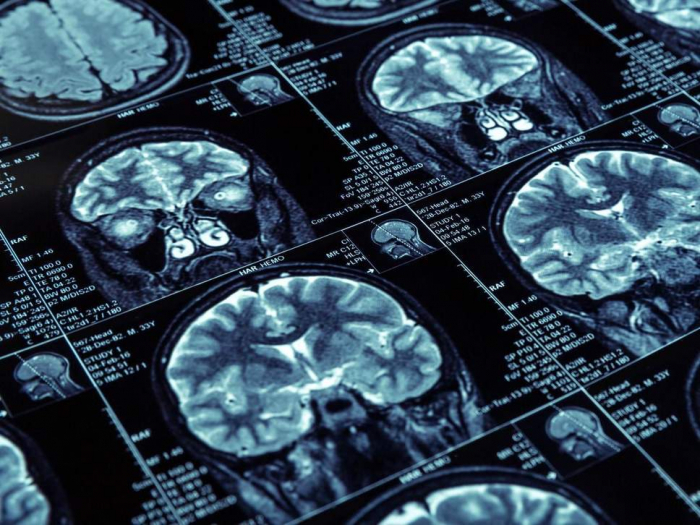 "Existing research has linked brain shrinkage to memory decline and a higher risk of dementia, but research on whether extra body fat is protective or detrimental to brain size has been inconclusive," said Mark Hamer, from Loughborough University. "Our research looked at a large group of people and found obesity, specifically around the middle, may be linked with brain shrinkage." It is unclear whether obesity could lead to brain structure abnormalities or the other way round, he added. Grey matter in the brain consists mostly of nerve cells while "white matter" is made up of connecting nerve fibres. The study, published in the journal Neurology, found no significant differences in white matter volume. Researchers also found links between obesity and shrinkage in specific regions of the brain. "It may be possible that someday regularly measuring BMI and waist-to-hip ratio may help determine brain health," Mr Hamer said. The scientists admitted that only 5 per cent of people invited to participate in the study did so. The examined group tended to be healthier those who chose not to participate. Researchers pointed out that the study may therefore not paint a true picture of the wider population.